Girls Varsity Bowling · Dec 3 Girls Varsity Bowling finishes 8th place at Big Blue Challenge! Girls Varsity Bowling · Nov 29 Amanda Miller ’19 bowls team-high 330 series! 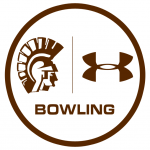 Boys Varsity Bowling, Girls Varsity Bowling · Oct 17 Bowling try-out and open bowl information!